Making a cameo from an upcoming Zombies campaign, Blackout players are now tasked with surviving the scourge of the Blightfather. Treyarch has something interesting lined up for Day 7 of the Call of Duty: Black Ops 4 Blackout beta. There's a new game event that has popped up around the Graveyard. 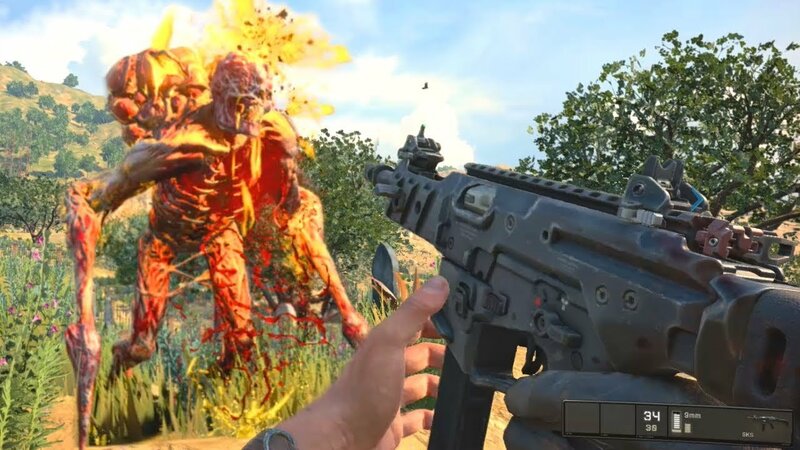 If zombies have proven tough to take down, they're nothing compared to the new menace that's haunting the Blackout map. The Blightfather is making a cameo from Black Ops 4's upcoming "IX" Zombies campaign. He can be found just south of the Asylum and is among the most dangerous creatures roaming the playing area. But if anyone can brave this encounter and take it down, they'll be rewarded with copious loot. Take on the Blightfather event, if you dare. Treyarch has also made a few more stability fixes, while also issuing some controller fixes. The full list beta updates can be found on r/BlackOps. The Blackout beta is set to run until Monday morning. Call of Duty: Black Ops 4 will release on PC, Xbox One, and PlayStation 4 on October 12.